It’s hard to call dinner recipes the best but it is definitely not hard to call them easy. 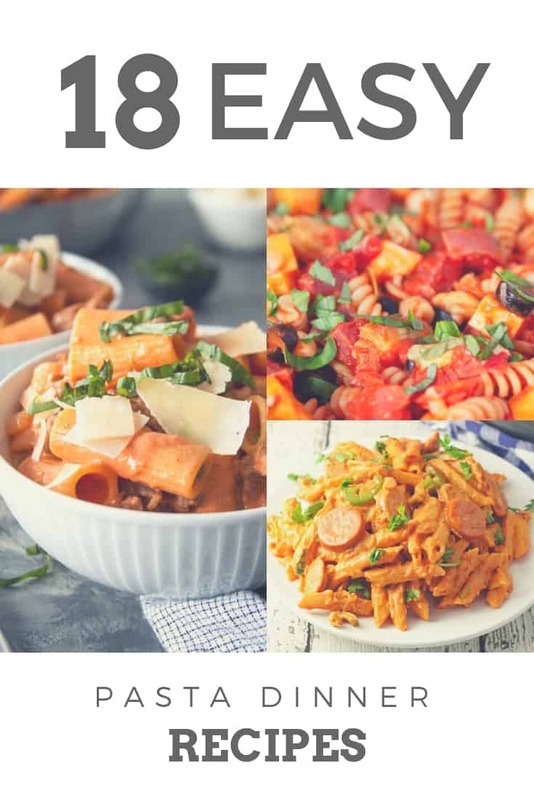 The 18 easy past dinner recipes below take under 30 minutes to make and are sure to please even picky eaters. You will find one that you love and I recommend trying them all! I have. 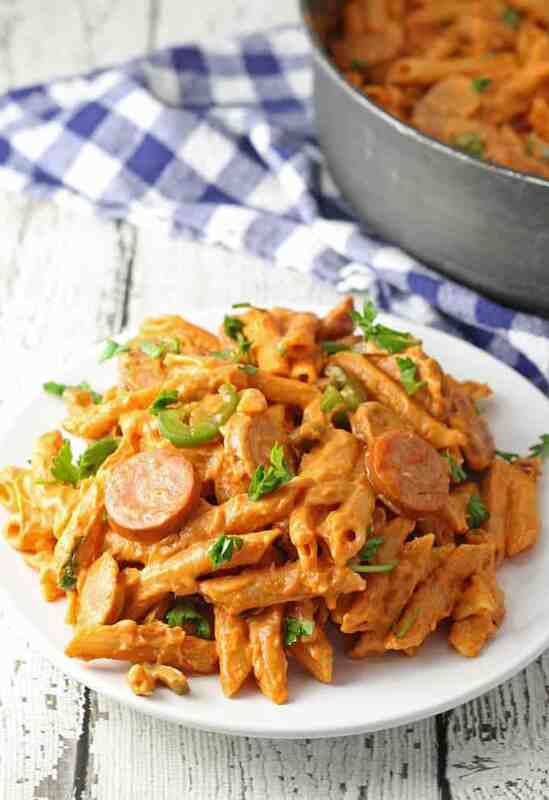 Try this one pot spicy sausage skillet with jalapeños, andouille sausage, and penne pasta for a quick & delicious meal. This recipe is the perfect weeknight dinner! All of the ingredients get thrown together into a single pot and sizzles up before you know it. From start to finish (including chopping), you can have dinner on the table in just 30 minutes with this creamy, slightly spicy pasta dinner! Have picky eaters at home? Simply deseed your jalapenos to eliminate the heat, then finely chop ‘em up to hide the “green” factor! This country-style rigatoni recipe is the easiest weeknight dinner. A tomato cream sauce made from scratch smoothly coats rigatoni noodles, Italian sausage, and peas for a hearty dinner. This pasta is perfectly “country-style” because of the simplicity of the ingredients and the uncomplicated cooking methods. While rigatoni noodles boil up al dente, simply brown Italian sausage over medium heat, and whip the tomato cream sauce with garlic & onions. Three stove burners, three pots, and only 25 minutes of cooking time equals a quick and tasty country-style meal for the whole family! Wanna make this recipe even quicker? Shave off 10 minutes by using a jar of store bought cream sauce or vodka sauce! This 30-minute cheesy tomato pasta skillet recipe is perfect for weeknight dinners or for big-batch party meals. Cream cheese and tomato soak seasoned ground beef, onions, and secret-ingredient arugula for a cheesy, saucy, hearty skillet! If you’re looking for game day meals, this is the crowd-pleaser you’ve been searching for! A comforting dinner for the colder months, and an indulgent meal for those warmer days. 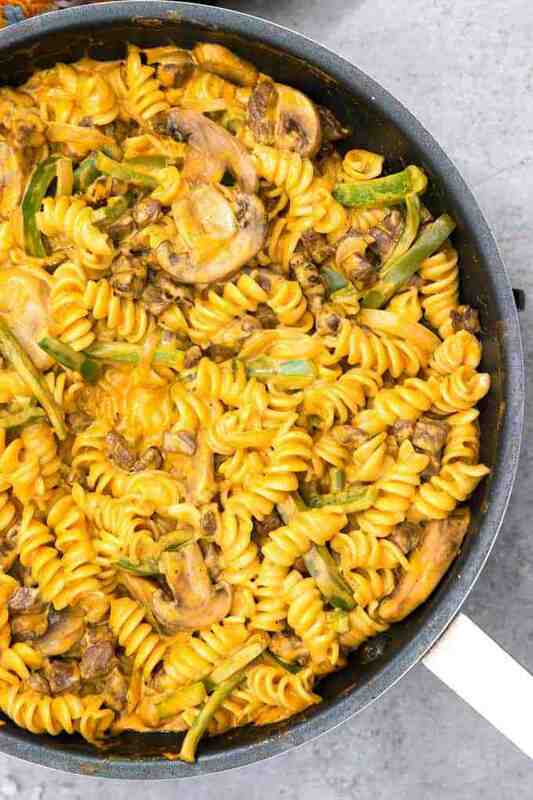 This Philly Cheesesteak Rotini recipe features seared steak, a creamy 3-cheese sauce, crunchy green peppers, mushrooms, and carmelized onions. Use a cheaper cut of steak for a budget-friendly & delicious dinner. This Philly Cheesesteak Rotini recipe is a tasty rendition of the classic Philly sandwich sans bread! 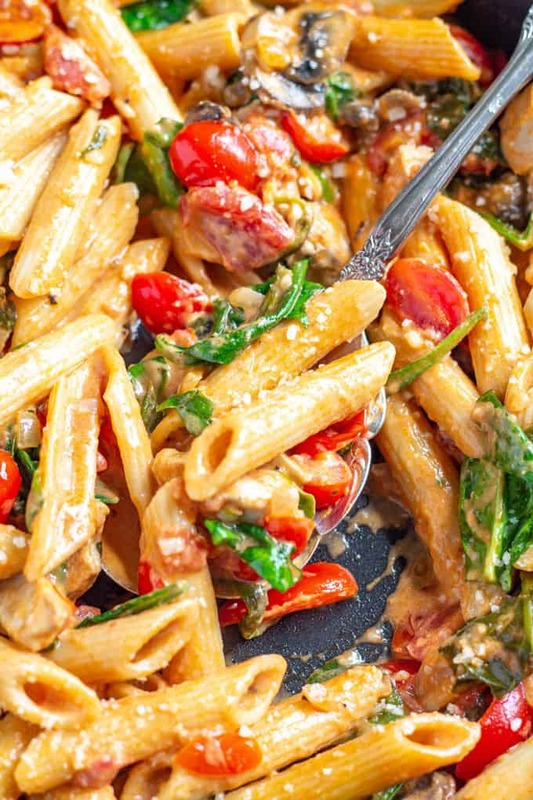 This pasta dinner is so creamy, and so savory. Kids will gobble up this “fancy mac & cheese” almost as fast as you can make it! With a cooking time of only 30 minutes, you can’t go wrong with this easy, cheesy, beefy rotini recipe! This Creamy Tomato Penne recipe is fresh & creamy, and oh so easy to make! Penne pasta is served with a creamy tomato sauce along with diced tomatoes, tender diced chicken breast, mushrooms, and spinach. It’s the 30 minute meal you’ll want to eat again and again. For an extra cheesy dish, substitute cheese filled tortellini in place of penne. Better yet, making a double batch of this recipe is so easy! Just use a dutch oven instead of a skillet, and cook the chicken in two batches. This is the type of meal that comes together quickly and can satisfy the entire family! Looking for an easy-to-make and filling dinner? 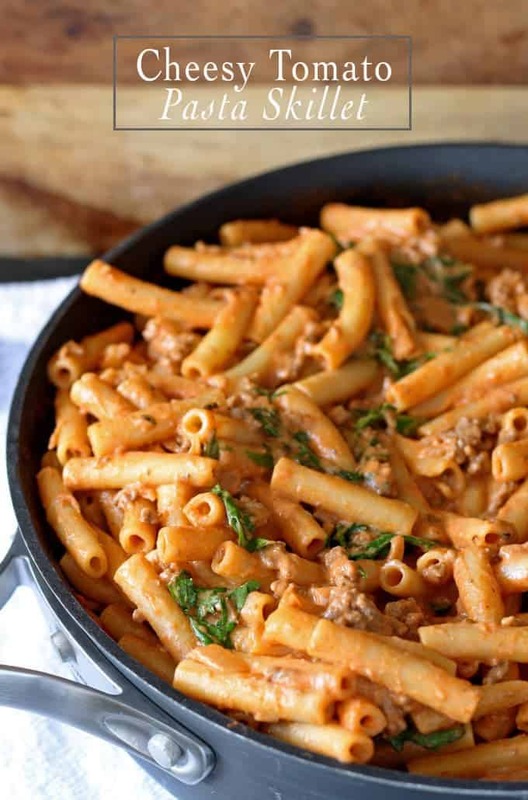 Try this chorizo rigatoni casserole! A blend of sweet bell peppers, chorizo, and cheeses make this a great weeknight meal. You’ll love the chorizo in this casserole with its subtle spice, unlike jalapeños or other hot peppers that can easily overpower dishes. 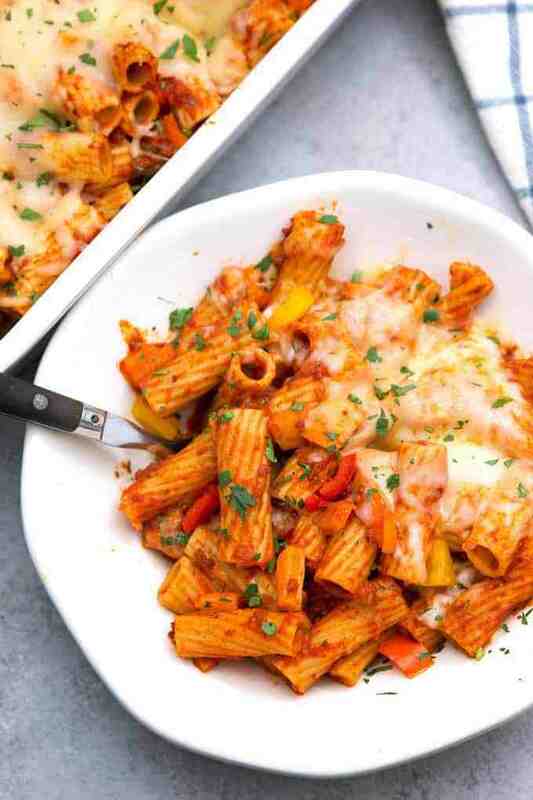 Al dente rigatoni tubes are boiled up and then slathered with a traditional, hearty pasta sauce along with colorful bell peppers and half a pound of chorizo. Finally the dish is baked for 10 minutes to melt chihuahua and mozzarella cheeses creating a gooey, cheesy top for this casserole. In just 30 minutes, this flavorful recipe is on the dinner table for all mouths to enjoy! 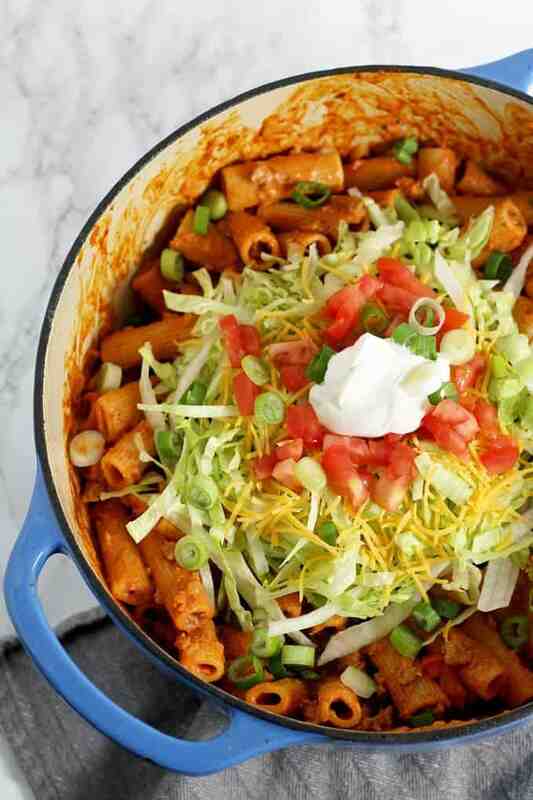 This Creamy Taco Pasta recipe is a tasty Taco Tuesday twist! This meal is a great way to add extra veggies (and flavor) to your family’s nutrition! 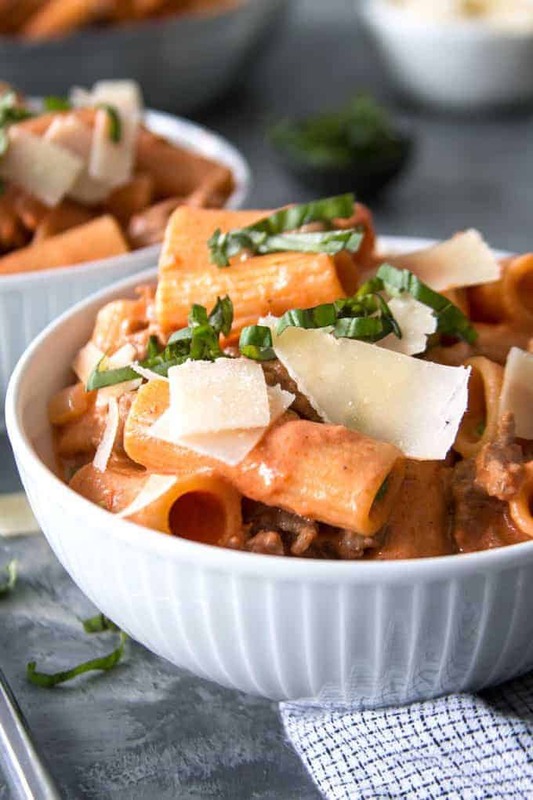 Taco seasoning, tomato sauce, and cream cheese create a smooth sauce sprinkled with taco flavor that coats rigatoni in this 30 minute recipe. Then each individual serving is topped with taco favorites like crunchy iceberg lettuce, diced tomatoes, shredded cheese, and dollops of sour cream. If you’re looking for more “sophisticated” taco pasta, top your servings with avocado slices, raw onion, fresh limes, and cilantro. Either way, your cravings will be completely satisfied with this pasta disguised as tacos! 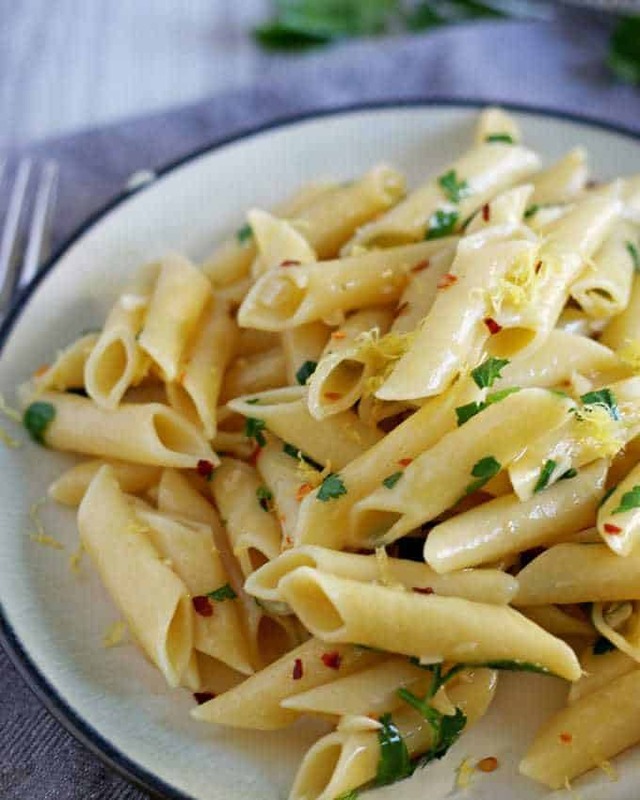 This penne aglio e olio is an easy twist on a classic pasta dish. Crushed red pepper, parsley, garlic, and lemon zest freckle oiled penne for a light & flavorful pasta dish. The most complicated part of this recipe is chopping up garlic and parsley! Can’t get any easier than that, sì? If you want a traditional pasta aglio e olio simply substitute spaghetti noodles in place of penne. Serve this up as a meal for meatless Mondays, or serve as a side dish to baked chicken. Pour yourself a glass of white wine, dress a side salad, and dig into this tasty pasta meal in only 20 minutes! 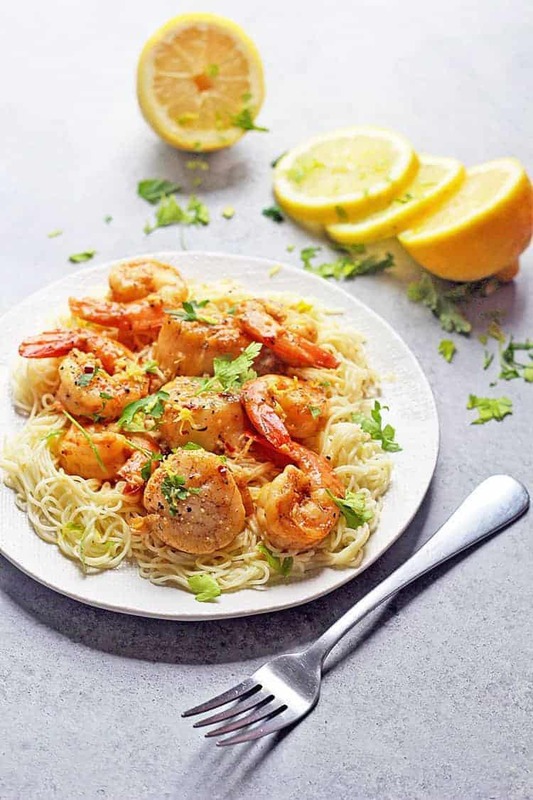 This beautifully bright and fresh twist on the traditional shrimp scampi is fun and full of spicy flavors. Lemon juice, wine, butter, paprika, red pepper flakes, and lemon pepper provide tons of flavor while scallops & shrimp add a ton of texture & tasty chew to this scampi recipe. Not a fan of spice? Simply omit the spiciest bits. Just be sure to serve this scallop & shrimp scampi with garlic bread for complete comfort. Classic shrimp scampi is nice…but Scallop and Shrimp Scampi is the nicest! And the best part, it only takes 20 minutes to get this meal on the dinner table! One Pot Mediterranean Chicken Feta Pasta can be on the dinner table in just 30 minutes by way of rotisserie chicken! Get a load of all your favorite mediterranean flavors in this pasta dinner. 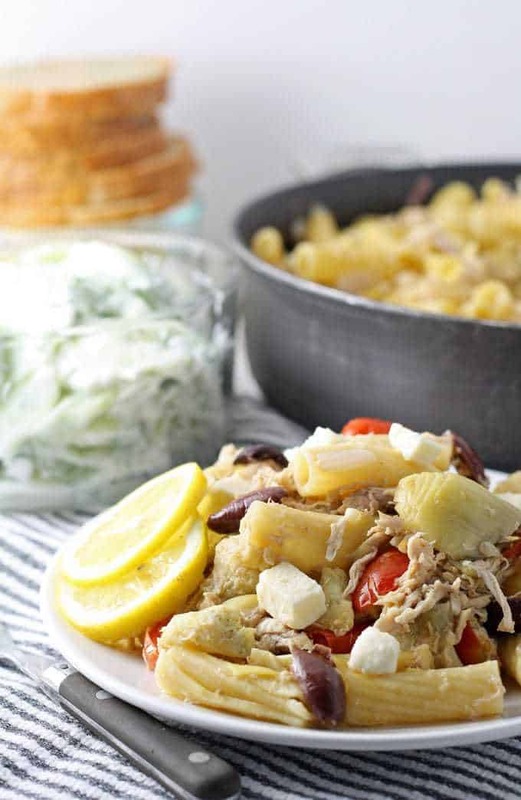 Feta cheese, pitted kalamata olives, cooked artichokes, and minced garlic combine with shredded chicken in this recipe. Artichokes and cherry tomatoes keep this pasta dish light, while crumbled feta & salty olives keep the flavor strong & bold. This One Pot Pasta is perfectly paired with crusty bread & hummus, a cucumber salad, or couscous! 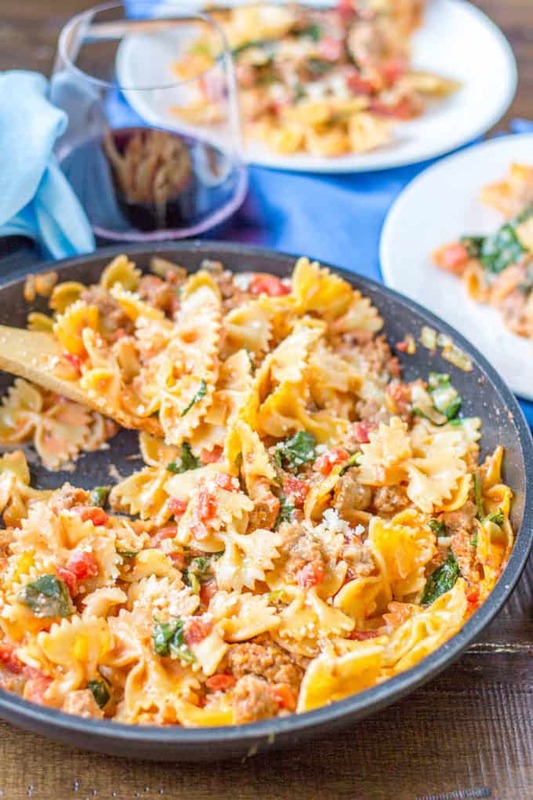 Sweet & Spicy Sausage & Farfalle is is one of the easiest recipes you can ask for! With little preparation time, it makes a perfect weeknight dinner option. Plus, the ingredients are all super cheap! A kicker upgrade to this recipe is to substitute spicy Italian sausage in place of sweet Italian sausage. Or just simply add red pepper chili flakes! 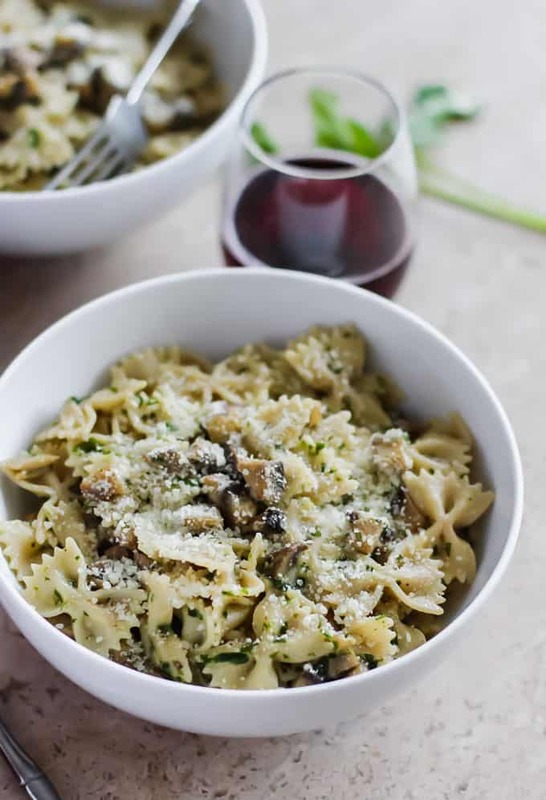 Fresh spinach brightens this pasta, but if you crave more veggies just toss mushrooms or bell peppers into the mix! Ready in just 20 minutes, this flavorful recipe can be the savior supper to all you busy moms out there. This 15-minute Antipasto Pasta is an easy-to-make recipe that is great for weeknight dinners. The flavors will please all lovers of Italian food! Fusilli and a traditional, simple tomato sauce create a classic base for this yummy pasta dish. Pepperoni, salami, black olives, artichoke hearts, fresh mozzarella, cheddar cheese, and basil then swim throughout the sauced fusilli resulting in so much flavor. A quick and delicious one pot meal complete with cajun flavors, creole spices, shrimp, & chicken. 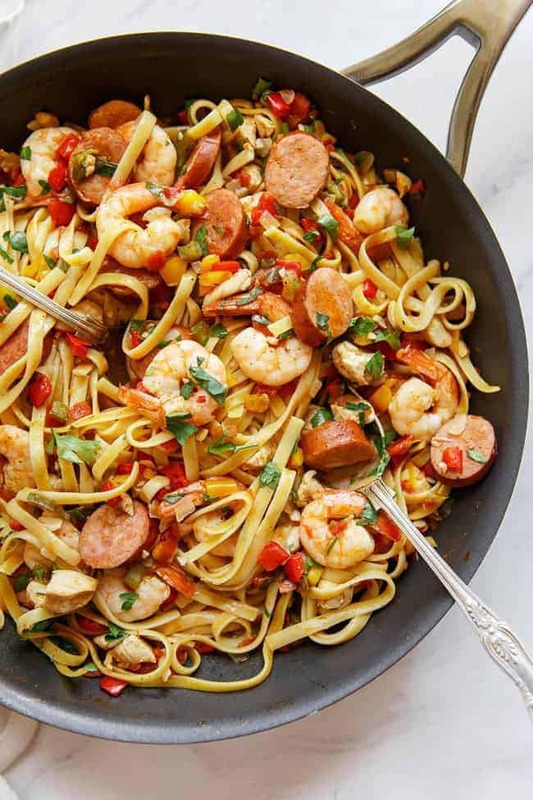 This jambalaya pasta is truly a quintessential one-pot recipe; the aromatic Cajun spices combined with fresh vegetables, shrimp, andouille sausage, and chicken make for the ultimate jambalaya without the lengthy cooking time.This Cajun Jambalaya Pasta recipe is quick and easy! Throw this together in a pot on a weeknight when you’re absolutely exhausted, but still want something homemade. It’s ready in just 40 minutes! All you really need for this light pasta is mushrooms, garlic, and parsley and you’ve got a killer side dish. It’s pretty awesome as a meatless weeknight meal for two, as well! Not in love with the idea of brown rice pasta? Simply use another alternative pasta choice such as quinoa, lentil, or chickpea noodles. But if your family is all about the carbs, this recipe works just as well with classic bowtie noodles! Regardless of which noodle you choose, the mushrooms are the real stars here. Inspired by the favorite Thanksgiving appetizer, this pasta recipe features stuffed mushrooms’ best parts: shrooms, parsley, and garlic but without all the work! This Garlic Bread Pasta is the most simple, amazing pasta dish ever! Ready in minutes, it’s great straight from the stove, or straight out of the fridge the following day! Loads of minced garlic is blended into hot melted butter and tossed with cavatappi pasta. 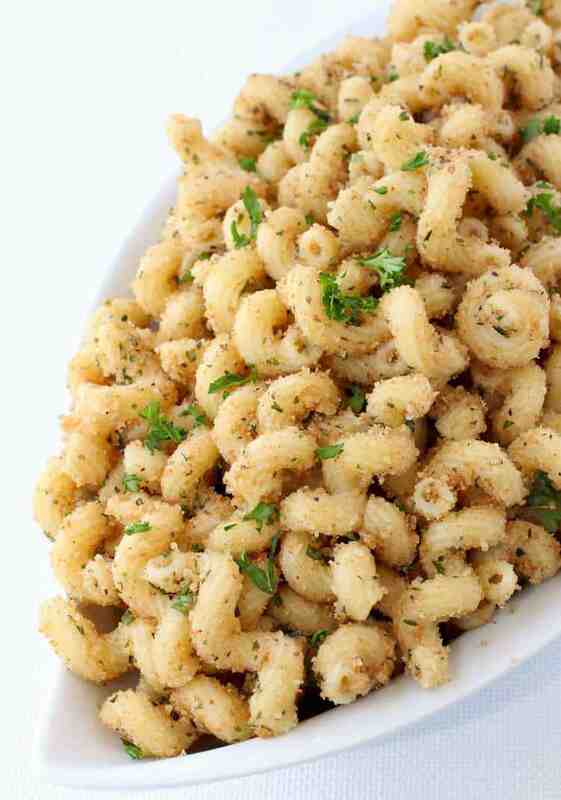 Then seasoned, toasted breadcrumbs are mixed into the garlicky cavatappi. That’s it! Garlic Bread Pasta finito. Lighten the carb load with a side caesar salad! Or if you need more protein, serve this recipe alongside broiled steak & mushrooms! If you really want your meal to scream garlic, simply make extra garlic butter to dip crunchy french bread into while you dine on this simple & tasty pasta dish. 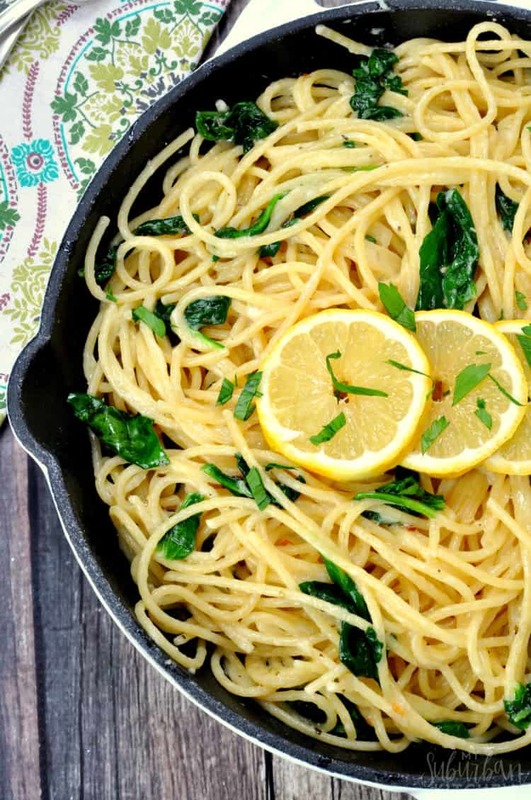 In less than 30 minutes, you can have a delicious pot of lemon garlic pasta on the table! This recipe requires only a few simple ingredients, most of which you likely already have in the pantry! Be sure to choose a high quality olive oil and Parmesan to use when making the lemon garlic butter sauce for this pasta, as they make up the bulk of the flavor in this recipe. Lightly toasting the spices in a bit of olive oil along with the garlic really lifts this dish up a notch. Looking to add some protein? Shrimp or lemon garlic chicken pair perfectly in this easy pasta! 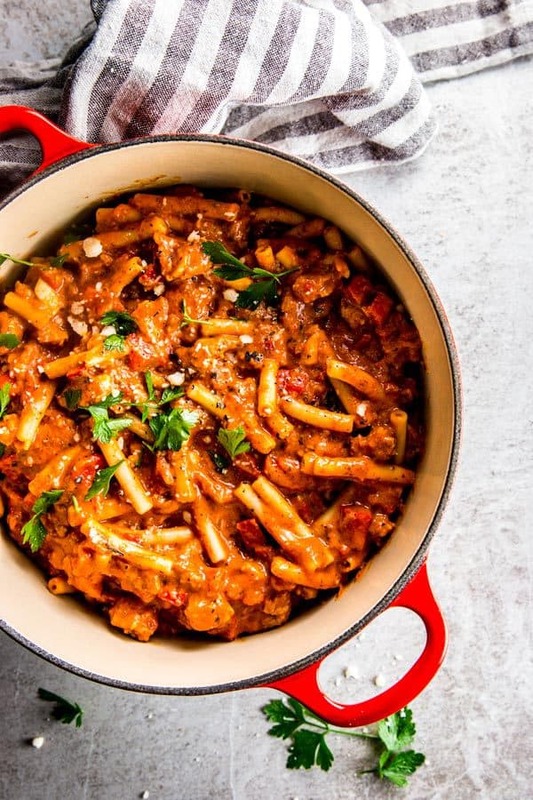 This here is a simple one pot pasta that truly packs in the flavor. This pasta was created for fans of sausage, fans of cheese, and fans of pasta. But mostly, for fans of fewer dishes to clean! The key to this dish is multitasking. To make this recipe in just 30 minutes, measure your ingredients while you simultaneously brown the sausage and chop veggies. And while the pasta cooks, start cleaning up! Throw the final bits together for the dish, admire your tidy kitchen, and accept all the compliments that will inevitably come your way. 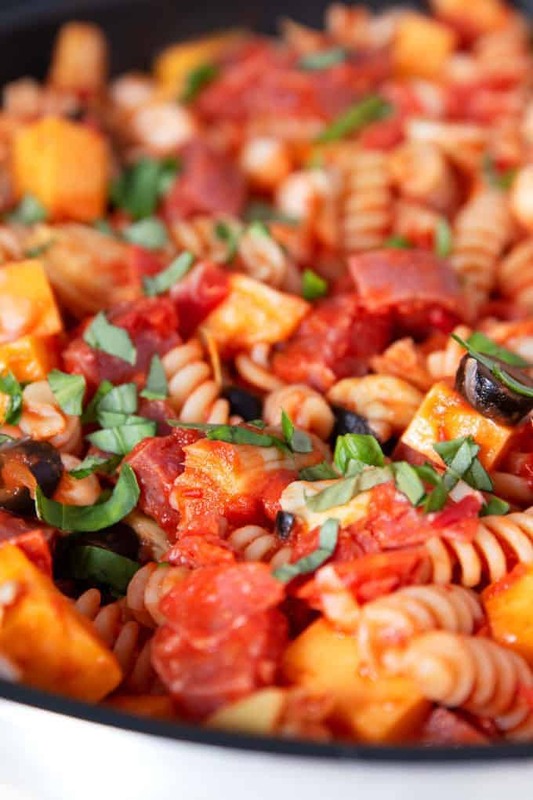 This weeknight pasta dinner is surely a steal for anyone with hectic schedules! Made in a single pot and in just 30 minutes, this easy bacon pasta is made with simple ingredients. This is the perfect recipe for anyone looking to spend more time with their families, and less time slaving away in the kitchen. Simply boil spaghetti, drain water, and keep aside. In the same pot, add oil and cook the bacon. When the bacon is almost done, add garlic & red chili flakes and saute until garlic is golden brown. Return the boiled spaghetti to the pot, add salt, pepper, and lemon juice. 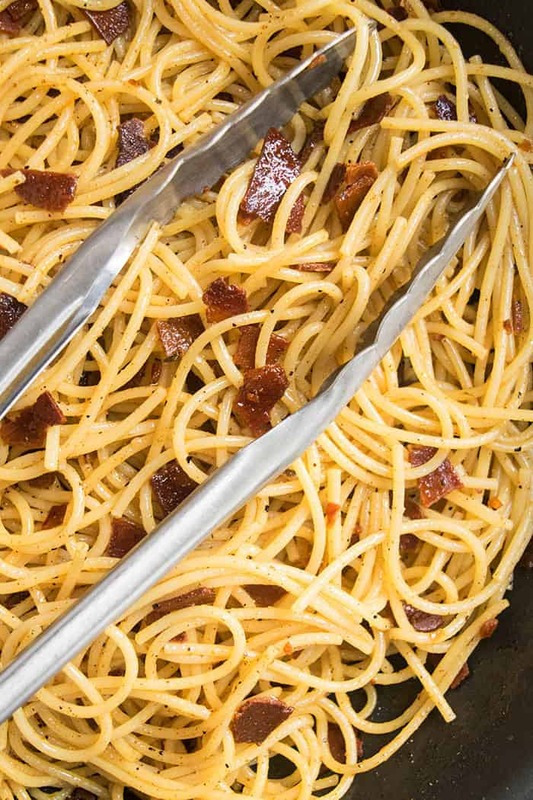 Toss everything together with tongs, and serve immediately for a simple, savory spaghetti. Serve up alongside breadsticks and a fresh salad for a complete meal! Oh boy ! What a beautiful collection ! Thank you so much !